Get your cash vouchers only at 8excite to save money on your shopping & dining at McDonald’s. Valid at all Selected outlets in Malaysia Except KLIA, KLIA2 and Genting Highland. Vouchers are not redeemable or exchangeable for cash or vouchers of other denominations. No refunds are applicable for purchases less than the value of this voucher. 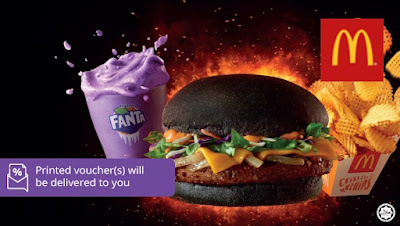 McDonald’s shall not be held responsible for the loss or damage of this voucher and any of the losses or damages suffered by the bearer of this voucher that arise from or in connection with the loss or damage of the vouchers. Free Shipping. Please fill up the FORM for the vouchers to be delivered to you.